Stop being nebby and come see what all the fuss is abaht! Pittsburgh Smokehouse offers dine in, food truck and catering among other things to the Western PA region. Well known for the brisket, kielbasa, pulled pork and more, the Pittsburgh Smokehouse serves up some of the finest smoked meats this side of the Ohio or Allegheny and Monongahela for that matter! Operated out of the Italo-American club in Turtle Creek, PA, the Pittsburgh Smokehouse is happy to serve both the members and public. Order up a plate of delicious smoked meats and other Pittsburgh classics. Follow the food truck and find aht where and when to get Pittsburgh's best smoked meats. You never know where the food truck will sho up so make sure you follow us on facebook! Wedding's, BBQ's, corporate events etc. we can handle it all. 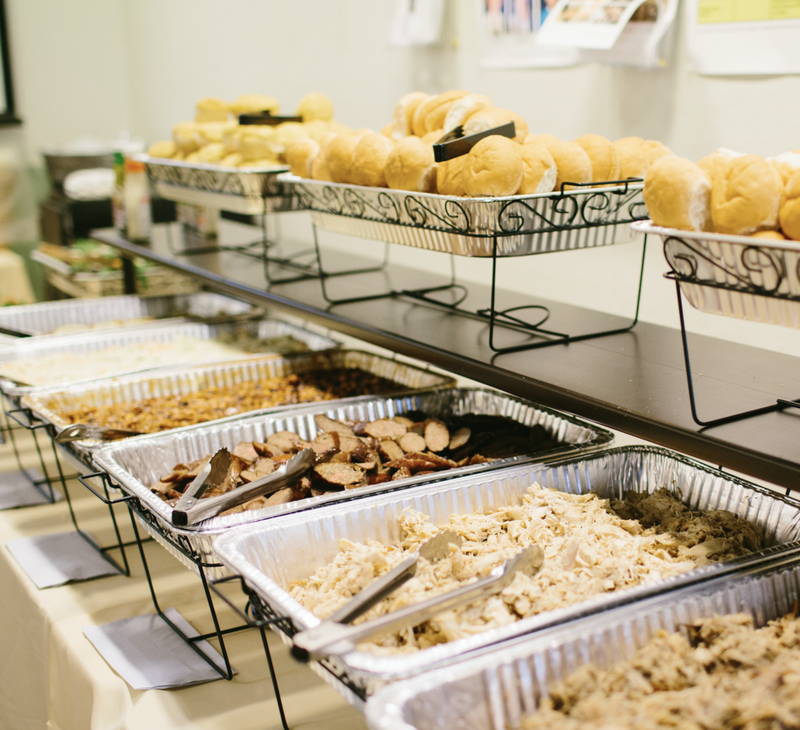 We show up with the food, you show up with the party. Everyone's happy! We serve a wide range of clientelle and events.